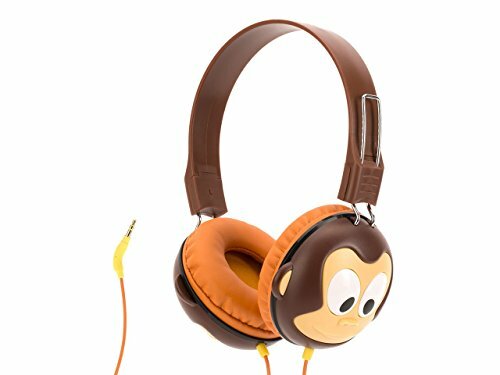 So while I love discovering cool tech gifts for kids, I also try to find fun tech toys, tech accessories and other tech-related items that teach and encourage our little tech geeks. 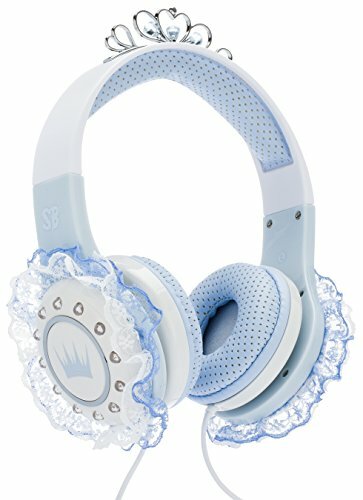 These fun tech gifts for kids are top-rated (most of them have 5 stars on Amazon) and are a hit with teenage boys and teenage girls (or any tech-loving tween for that matter). 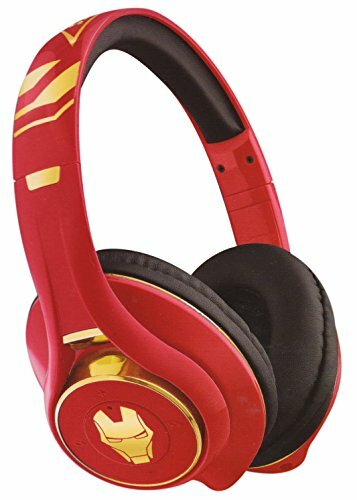 If you’re looking for great gifts for kids (whether for Christmas, birthday or anytime) check out this awesome list of some of the best tech gifts for kids. 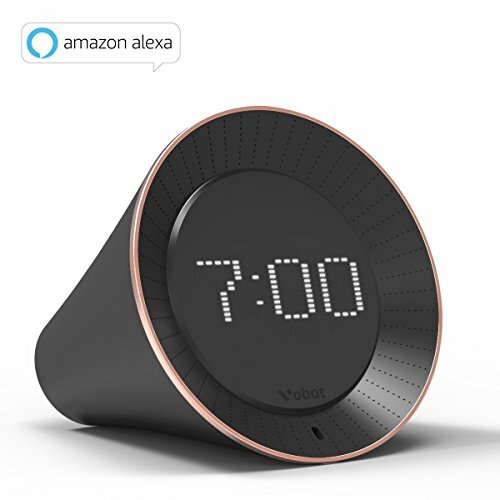 This incredible little tech gadget not only tells time (and wakes your child up for school) but it plays music and has Alexa capabilities. This touch-initiated and voice-controlled tech device (a very cool tech gift for kids) uses Alexa to play music, provide information, control smart home devices, listen to news and audio books, report weather, traffic condition and so on. And because the Vobot is a hands-free device (after full charge of the battery) it’s completely portable. Dang, we never had an alarm clocks like this when we were growing up. My tech geek kids would love something like this… wouldn’t yours? 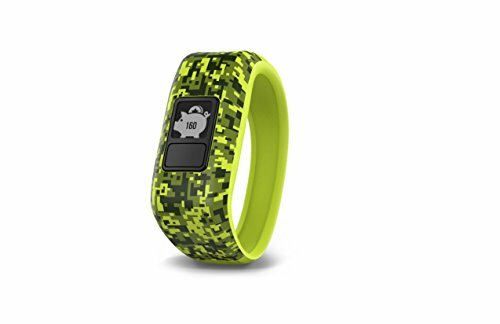 Looking for a cool tech gift for an active kid or sports lover? 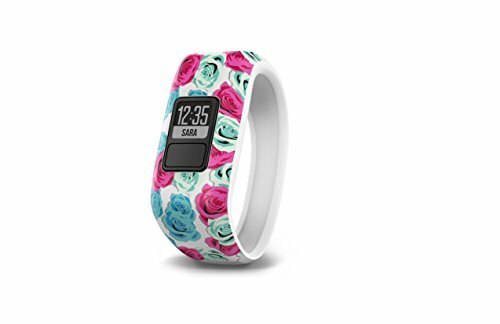 Look no further than the Garmin Vivofit (three band styles are shown below). This fitness activity tracker is built kid-tough and parent approved with a one year battery life (no recharging needed) and 24/7 wearability (it can even go in the water). I love that there’s a free compatible parent mobile app that has educational games for kids and even chore/behavior management tracking. Parents can see a child’s steps, sleep amount, daily activities and chore data when it automatically syncs to the parent’s smartphone. Love that! 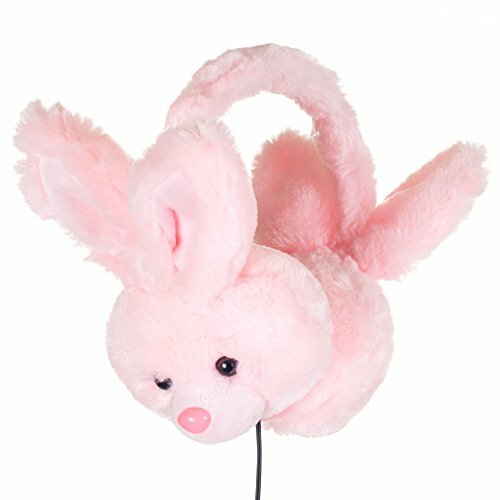 Fun tech gadget for kids that’s exciting for kids (and practical for parents). Yes! Got a kid who loves to shoot videos (but you’re not ready to hand him your GoPro quite yet)? Enter this fantastically fun tech gadget for kids: the Kidizoom Action Cam. This practical-yet-fun cool tech gift allows kids to take photos and record videos on the go. Kids can also take selfies or shoot videos with fun features like slow and fast-motion using the 180° rotatable camera. I love that this tech device is sturdy and built kid-tough. 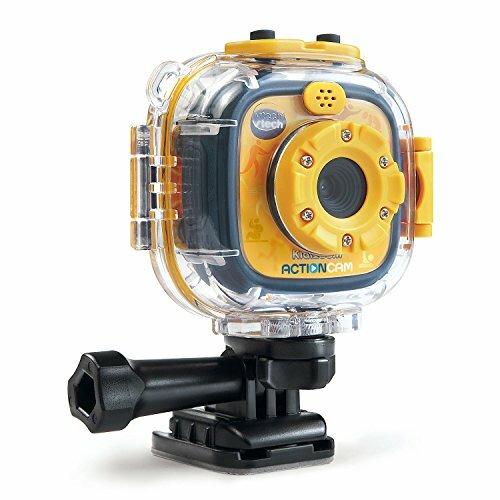 In fact, the all-weather, water-resistant case can be used for up to six feet underwater. Kids can mount the camera to their bikes, skateboards and more and take great action shots. Definitely a top gift for tech geeks (of the kid variety) who love documenting their trick shots and outdoor fun. 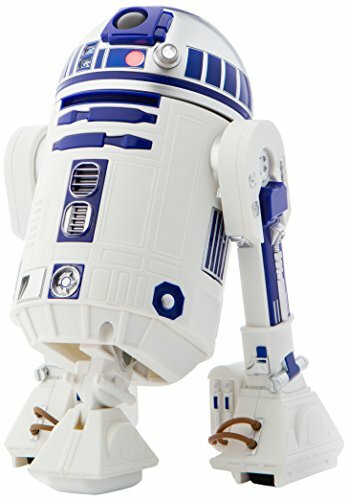 If your kids are Star Wars fans and love tech gifts, these awesome robots are the perfect gift. 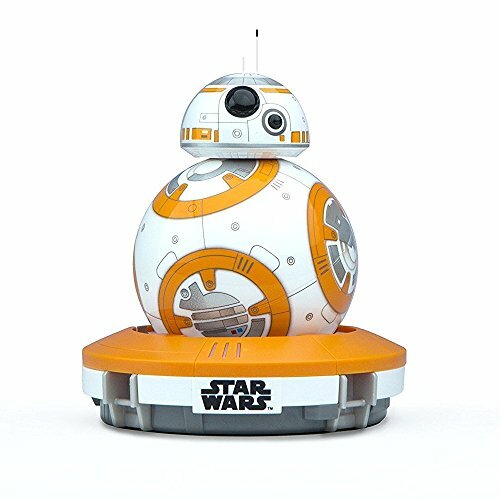 The programmable BB-8 Star Wars Robot and R2-D2 App-Enabled Action Figure listen and responds to your child’s voice. 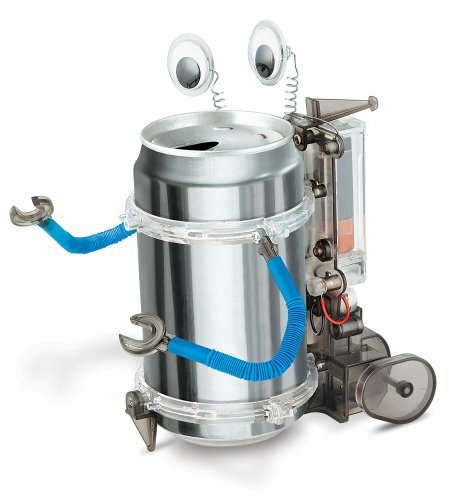 Guide these robots with your smartphone or tablet and record or view virtual holographic videos. 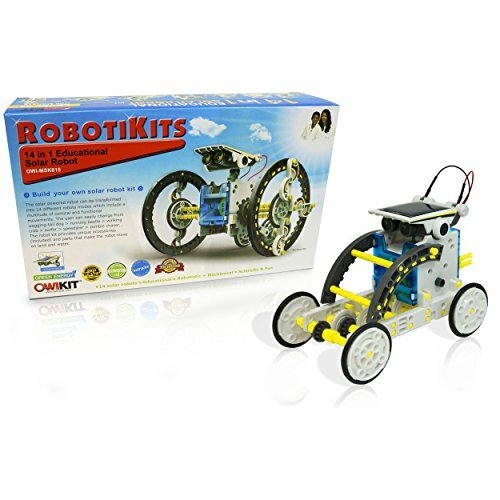 These robots have over 2,300 reviews and almost 5 stars on Amazon, making it obvious that this is a great tech gift for kids. 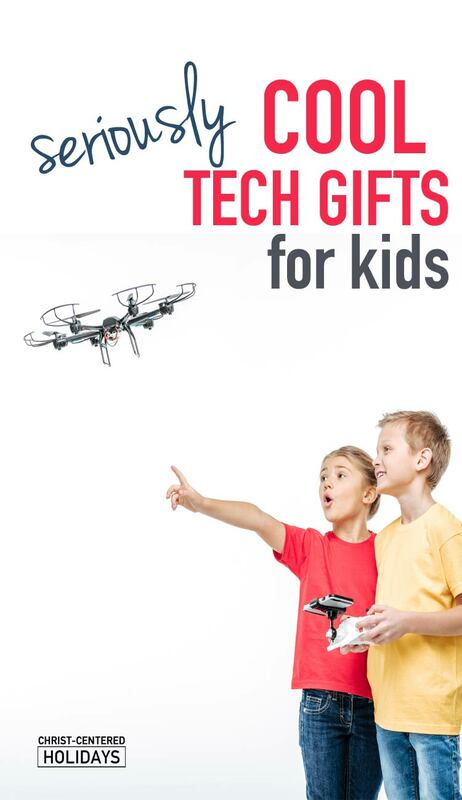 Finally a drone that’s reasonably priced and that also teaches kids! This DIY drone kit encourages kids to develop STEM skills as they assemble, build and fly the drone. 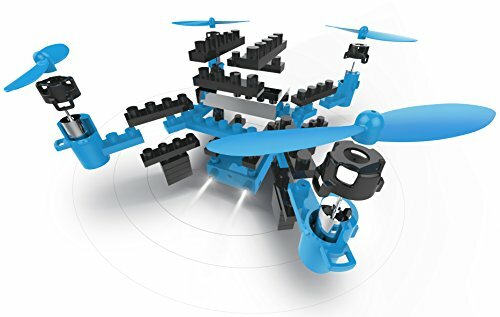 This build and fly drone is a fully functioning drone with 360 degree all angle flexible movement function and even a camera. 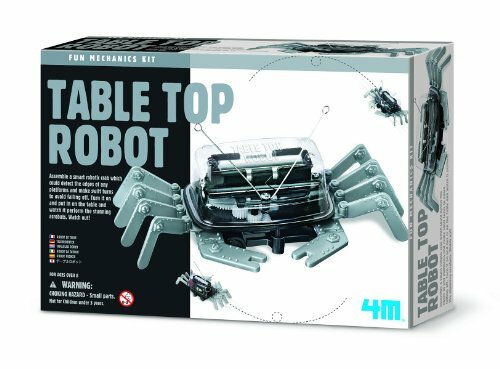 It’s also a cool tech gadget that’s fairly easy to use with one key to take off and one key to landing and a detailed manual that provides accurate assembly and usage information. 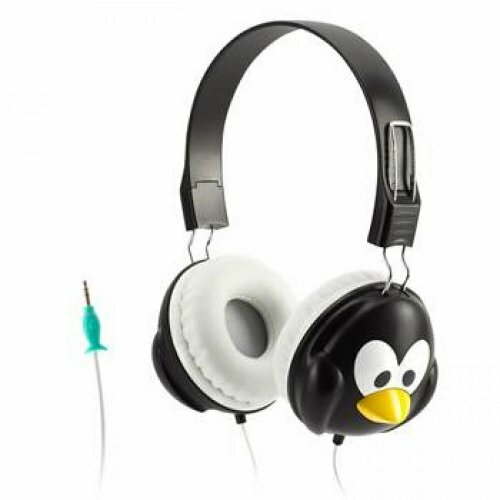 This is a great tech gadget gift for kids that parents and kids can use together! 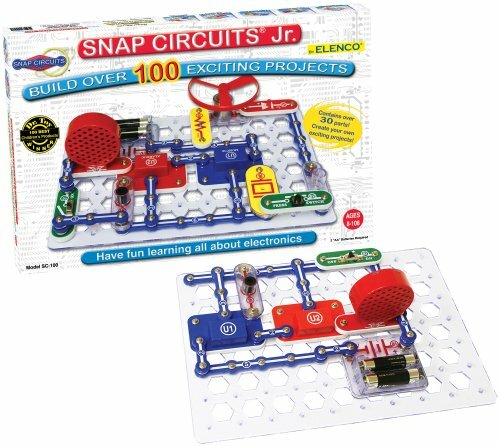 These are wonderful, hands-on science kits for kids ages 8+ with simple instructions. 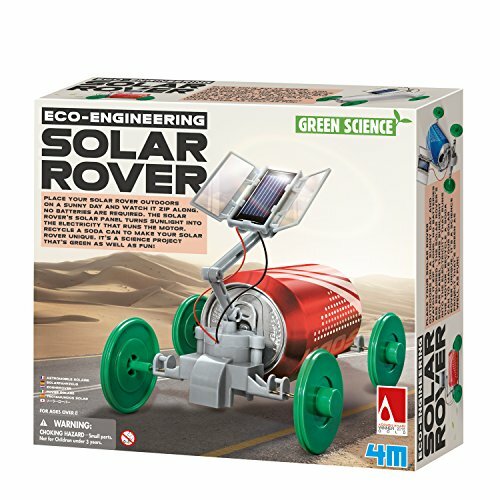 Kids create a working crab robot, a working tin can robot and a solar rover! Buy one or get all three. 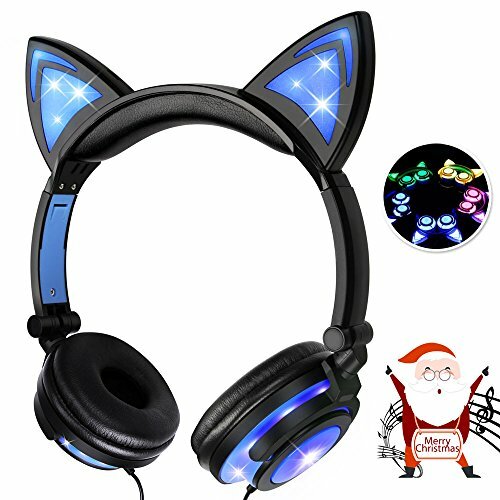 Fun tech toy for any tech-loving kid! 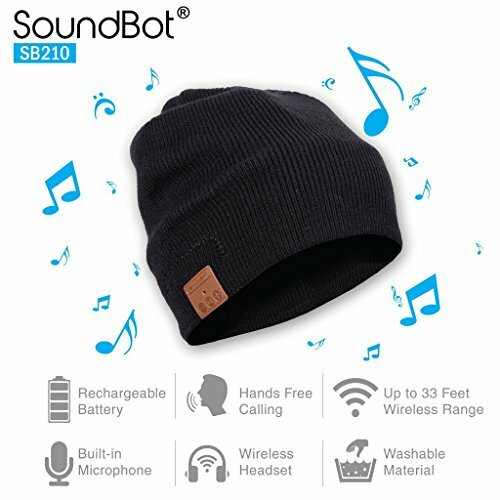 My fifteen year old teenage boy would geek out on this gift: a bluetooth beanie so that he can stay in style as he discreetly plays his tunes. 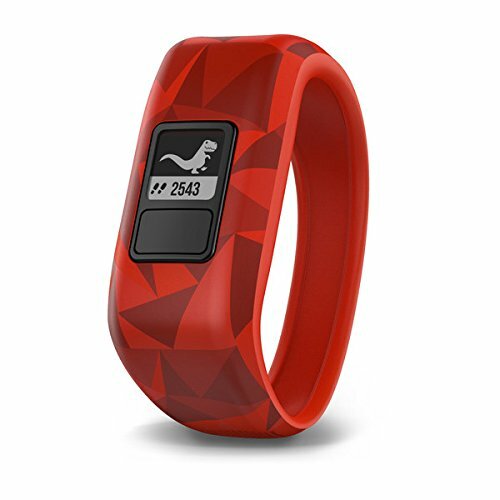 It’s a great tech gift for kids who run or do athletics. Love how this bluetooth beanie keeps kids looking cool without missing their music! If you have creative, tech-loving kids, then you understand a dilemma they often face with all their electronic devices–what to do when they see that dreaded “out of storage” message! My kids are always shooting videos and taking pictures, so unfortunately, it happens quite often. That’s why Picture Keeper Connect is such a lifesaver! 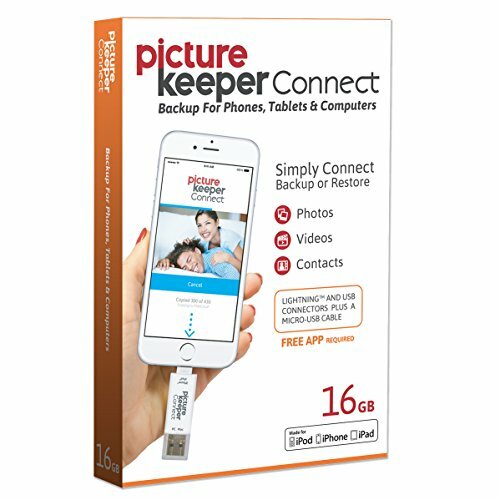 This little USB storage device quickly and easily downloads photos and videos from a smartphone so that storage can be freed up and kids can keep on creating. 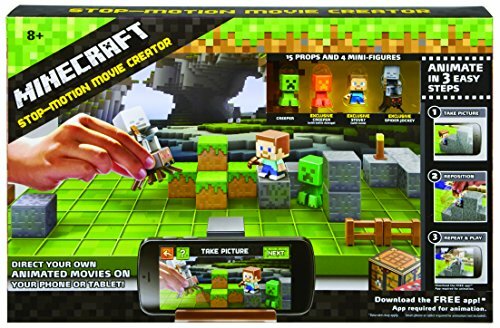 Great, practical gift for tech kids who are addicted to shooting videos and pictures with their phone!